A surprising number of people fail to leave a will which, in some cases, can result in unwanted consequences, potential hardship for those left behind and additional work and expense, which a simple will could have avoided. If you have no will, the law dictates who inherits your assets through the operation of prior rights, legal rights and lists of next of kin having different degrees of priority. The result can sometimes be that relatives you rarely saw or even knew can benefit in a way you would never have intended. 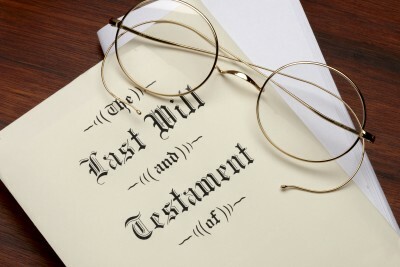 For relatively little trouble and expense, a will can be prepared which makes clear who is to be responsible for taking charge of your estate and carrying out your wishes (your executor/s) and those whom you wish to inherit the assets you may leave. Even if you already have a will, it is important to review it from time to time to make sure that it still correctly reflects your wishes and any changes in your circumstances and that your intended beneficiaries are still around to benefit. A will consultation or will review can deal with these potential problems and provide some peace of mind that your affairs are properly in order.